1. Where is your Sign Located? The location of your sign will have a large impact on the lighting that you should select for your signage. For example, if your sign is on the street without any other lit signage nearby, then you may want to go for a more subtle lighting system since your lights aren’t going to be drowned out by any others. Likewise, if your signage is located on a well-lit street with lights all over the place, then you may need to add brighter lights to allow your sign to stand out. City codes and safety regulations regarding the use of lighting on outdoor fixtures. 2. What do you Currently Have to Work With? 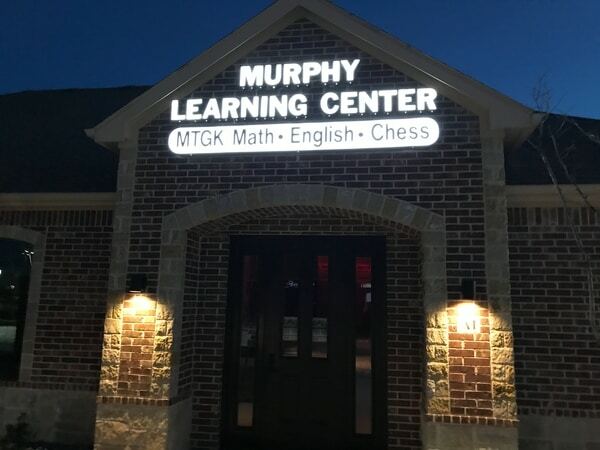 Is your goal to illuminate an existing sign, or are you hoping to add lighting to a brand new sign? Incorporating lighting as you install the sign may give you a wider range of options to work with. While many people may be tempted to base their lighting choices purely on aesthetics, there are more practical concerns that must be considered as well. You’ll have to work with a licensed electrician or outdoor sign lighting expert to determine what your actual options are for lighting your signage. What electrical wiring is available on the signage currently? Was there already lighting in place that needs to be replaced? Will the sign support the type of lighting that you are considering? 3. What Type of Sign are you Lighting? There are a lot of different signage options out there, such as billboards, banners, directional signs, and storefront signs. Each of these may need different kinds of lights to help them stand out. You have to consider the audience and the impact the sign should make before proceeding. Is this sign likely to be exposed to the elements? Will there be covering over the sign to protect it from sun damage/rain? What level of durability should this sign have? Adding lighting to your signage is a great way to improve the overall appearance of your sign. The best way to light your sign is to have lighting added as the sign is being installed. The outdoor sign experts at Signs By Randy will make sure that your sign is expertly installed and well-lit in the process. They also do sign design and printing.